A whale watching trip in Friday Harbor is an exciting way to experience the ocean in all her grandeur. The adventure of watching whales can enthrall singles, families and groups alike, because to see the splendid cetaceans up-close is an opportunity in itself. The town of Friday Harbor, which is situated in the San Juan Islands, is one of the best-rated locations in the world for Orca sightings. What makes this seaside town a favorite marine life watching spot for tourists? The summer splendor: During the months of summer, Friday Harbor whale watching becomes a brimming activity. Orcas frequent the seas almost every day and passengers onboard can watch these magnificent killer whales thrive in their natural habitat. Comfortable touring experience: Friday Harbor has a number of locally owned and operated tour companies that have years of experience in conducting responsible whale watching trips. The crew onboard will update you with the right information on weather and waves and help you stay comfortable throughout the trip. 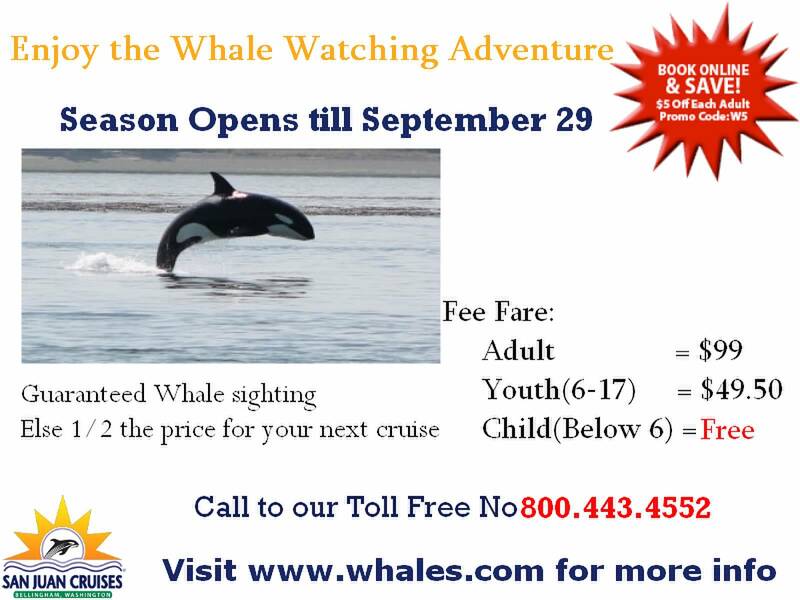 Unlimited entertainment: Longer whale watching tours in Friday Harbor offer exciting activities and narration from the captain to keep you entertained. Whale facts: Certified marine naturalists can help you learn interesting facts about whales and marine life preservation. You can get to know about the life cycles and behavioral patterns of whales and the knowledgeable crew will be obliged to answer the questions and doubts that you may have.